From a windlass last year (which Liz had to dismantle and put into two suitcases for it to fit within airline maximum baggage regulations) to clips, snaps, shackles and winch handles, we’ve been flying back and forth across the globe carrying boatloads of equipment. 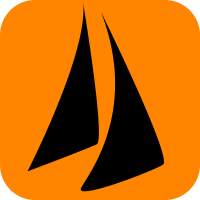 We’ve known yachties who have managed to disembark with outboard motors and dinghies. Once, in India, Jamie brought our Portabote from the UK. Folded up inside its case, it looked like a surfboard. The airline was happy to class it as “sporting goods” and didn’t charge us a sou. Result! Liz’s latest trip was no exception. This time, as well as bits for the boat, she had lots of photographic goodies, including her own new Canon M50, as well as plenty of equipment upgrades for all our video shooting and editing. Thanks for reading our blog and supporting us, we hope you see the difference in our videos to come. 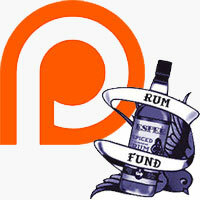 And a big shout out to all our Rum Funders and Patrons, without whom none of this would be possible. Becoming a Followtheboat Mate doesn’t float your boat? During my working days as expats, I often found myself in the UK on business and took the opportunity to purchase items for the boat. This was despite frustrations such as the equipment we purchased might have been manufactured in the country we were working (China) but only sold in UK or other major markets. Anyway I became a regular traveller on B.A. and the cabin crew got used to my antics as it was necessary to wear items such as wet weather gear to avoid excess luggage or carry the equipment in clear see through plastic bags to claim V.A.T. at Heathrow. After a series of trips I boarded the plane with a replacement toilet seat for the Lavac. I just went to Canon to look at the specs on the M50 and ebay for the price. 10 years ago I bought a 10D at around $500……… 6.3 Mega Pixel. I see 10D bodies on ebay now for about $70. I really like your new camera!!!!! I’m anxious to see the results you get from it………not to put any pressure on you of course. Hi.regards to the prop shaft bearing.Back in the sixties working as a shipwrights in a shipyard our machine shop used to turn on a lathe a timber called Lignum vitae,which was used as shaft bearings.The timber is one of hardest and does not float. Great article! It is better to get on a plane and go and buy a required spare part yourself than to wait for a wrong part to be delivered to you on some remote island in the Pacific!